The 247 home visiting doctors are fully qualified and often have a few years of emergency experience. We are registered with the Australian Health Practitioner Regulation Agency (AHPRA), as required by the Medical Board of Australia and have full medical defence (indemnity insurance). We are the very same doctors you would see at a hospital or in a local general practice. We cooperate with your general practitioners to ensure health care is continuous. 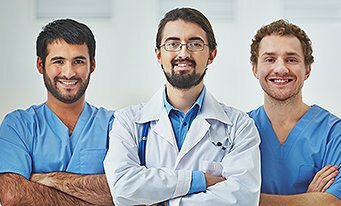 The 247 Doctor are fully equipped to diagnose and treat any urgent problems, conditions, and/or injuries which you would find necessary to be done. Also they can suture lacerations, provide wound care, arrange hospital admission, palliative care, catheterization, pathology test, incident reports, peg tube maintenance, start medications if required, and much more. The doctors can also provide legal verification of death. Our operators will stay in touch and contact you when the doctor is on his way. Home doctor visits can typically be scheduled within 1-3 hours of receiving your call with some exceptions on busy days. Please note we recommend for emergency cases, please call 000 immediately for an ambulance. Our vision is to bring a new dimension to the way we treat patients giving them optimal treatment in the most rewarding and professional manner. The main objective is to reduce the influx of non-emergencies in the public health sectors buy offering a quality consultation by one of our highly professionally skilled doctors to your door when you are unable to get to a doctor or when your doctor is unavailable. Our goal is to bring this exceptional level of service, quality and patient care to every corner of Queensland, and – eventually – throughout Australia. We are extremely proud of what we have achieved so far for th healthcare industry, and strive to lead a nationwide after hours, in home medical service that delivers the finest patient experiences and medical outcomes. To develop and implement a sustainable, coordinated, integrated and comprehensive after-hours health care based on the Primary Health Care approach to ensure a high standard of quality health care. 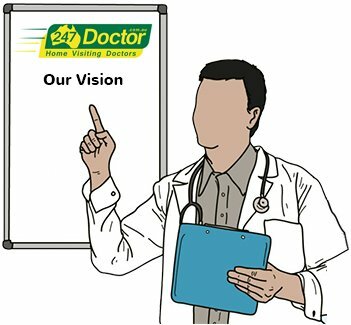 247 Doctor Service uses the above-described information to tailor our content to suit your needs and provide information that has been requested by users. We will not share information about individual users with any third party, except to comply with applicable law or valid legal process or to protect the personal safety of our users or the public. anyone included in a transfer of all or part of our assets or businesses.